May You (£9.99) can be ordered from Valley Press here but be quick as there are only 20 copies left! 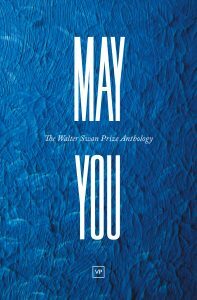 Winner, “Best Anthology” at the Saboteur Awards 2017. 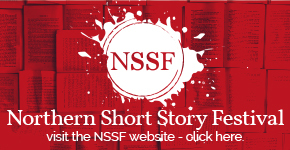 The result of the Remember Oluwale Writing Prize, launched in late 2015, this is a collection of thoughtful and poignant responses to the story of David Oluwale, hounded to his death in the River Aire in 1969. The 1971 trial in Leeds, UK, of the two policemen accused of his manslaughter brought David’s plight briefly into the national spotlight; newspaper reports by Ron Phillips, a BBC radio play by Jeremy Sandford and poetry by Linton Kwesi Johnson followed. Then David was mostly forgotten, while the issues that he embodied – hostility to migration, racism, mental ill-health, homelessness, police malpractice and destitution – continued to scar British society, still making headlines fifty years on. 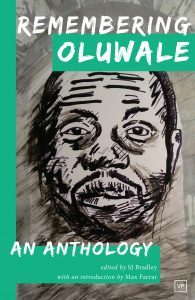 Remembering Oluwale includes extracts from recent books about David by Caryl Phillips and Kester Aspden, as well as poems responding to his story by Ian Duhig, Linton Kwesi Johnson, Sai Murray, Zodwa Nyoni, and many other contemporary writers. The resulting body of work serves as an introduction to some fascinating new voices in UK literature, and also as a clarion call for us to re-make our neighbourhoods as places of inclusion, acceptance and hospitality. Remembering Oluwale (£8.99) can be ordered from Valley Press here. 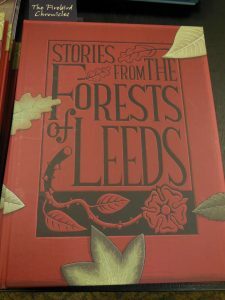 Stories from the Forests of Leeds is a treasury of tales and artwork that imagine an alternative Leeds – a forest of weird and wonderful fairytale characters. Created with a group of local writers, through a series of workshops, it tells the story of those who live on the fringes of the Forest through the eyes of Clarence the water rat. The stories, written by a whole range of people, from an 11 year old, to a professor of English, are beautifully illustrated by Simon Smith. The book was commissioned by Leeds Church Institute and is published in partnership with the Leeds Big Bookend Festival. This book is currently out of print. Seven stories set on the day of the Grand Départ of the Tour de France. It’s 5th July 2014 and the world’s biggest cycling race is about to depart from Leeds. 22 teams, 198 riders, 2,000 journalists and 4 million people are converging on this Yorkshire city. Among them are Gizmo the dog, with his owner; a woman carrying a tin full of memories; a refugee with a rose in their pocket; a student; a grandad and grandson; and X. For each of them, 5th July will turn out to be a life changing day. 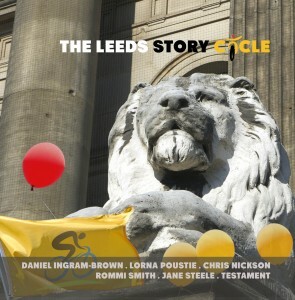 The Leeds Story Cycle (£10) is published by Leeds Church Institute and the Leeds Big Bookend Festival and can be ordered here.